In July 1995, San Jose Mercury-News reporter Gary Webb found the Big One - the blockbuster story every journalist secretly dreams about - without even looking for it. A simple phone call concerning an unexceptional pending drug trial turned into a massive conspiracy involving the Nicaraguan Contra rebels, L.A. and Bay Area crack cocaine dealers, and the Central Intelligence Agency. For several years during the 1980s, Webb discovered, Contra elements shuttled thousands of tons of cocaine into the United States, with the profits going toward the funding of Contra rebels attempting a counterrevolution in their Nicaraguan homeland. 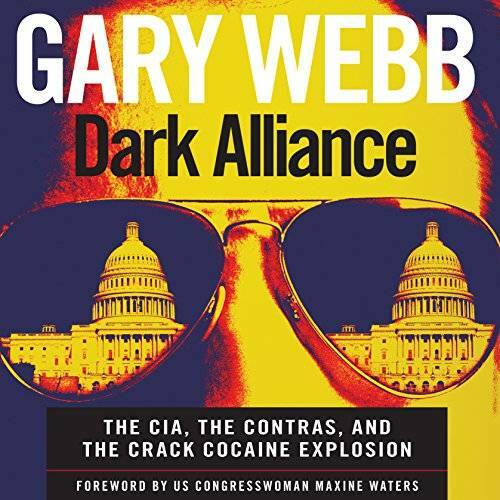 Even more chilling, Webb quickly realized, was that the massive drug-dealing operation had the implicit approval - and occasional outright support - of the CIA, the very organization entrusted to prevent illegal drugs from being brought into the United States. 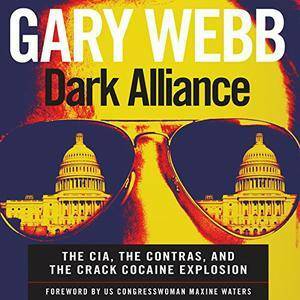 Within the this audiobook version of Dark Alliance, Webb produces a massive amount of evidence that suggests that such a scenario did take place, and more disturbing evidence that the powers that be that allowed such an alliance are still determined to ruthlessly guard their secrets. Webb's research is impeccable - names, dates, places, and dollar amounts gather and mount with every page, eventually building a towering wall of evidence in support of his theories. After the original series of articles ran in the Mercury-News in late 1996, both Webb and his paper were so severely criticized by political commentators, government officials, and other members of the press that his own newspaper decided it best not to stand behind the series, in effect apologizing for the assertions and disavowing his work. Webb quit the paper in disgust in November 1997. This audiobook serves as both a complex memoir of the time of the Contras and an indictment of the current state of America's press; Dark Alliance is as necessary and valuable as it is horrifying and grim.